Attend the Fundraising Brown Bag [FB2] the first Friday of each month. This opportunity is for fundraising professionals (or not-yet professionals) to come together in a less structured free-flowing environment to share their lunch time and discuss topics that are relevant to them. 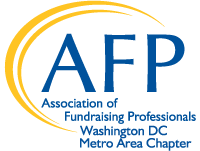 All fundraising professionals are invited, such as individuals early in their professional fundraising career, individuals who may not yet belong to a professional fundraising organization, or individuals who have never attended fee-based educational program. Other individuals may be seasoned fundraisers that are interested in the topic or who want to spend time with up-and-coming fundraisers. **Note space is limited to 30 attendees. Be sure to reserve a spot soon and don't forget to plan ahead and pack your lunch that day. Many industries are represented in today’s gathering and we want to continue to draw from our diversity. Please refrain from solicitations and help us preserve the integrity and professionalism of our DC Brown Bag series. Thanks for your continued support throughout the year!